SINGAPORE, 9 March 2018 – The World’s First Blockchain and AI-driven Marketplace from dating, courtship and marriage, Viola.AI announced today a new exciting Joint Venture partnership with MegaX, a wide and growing retail network of more than 40,000 brands with existing 5,000,000 customers — to build the future AI-driven Retail Shopping experience for millennials. 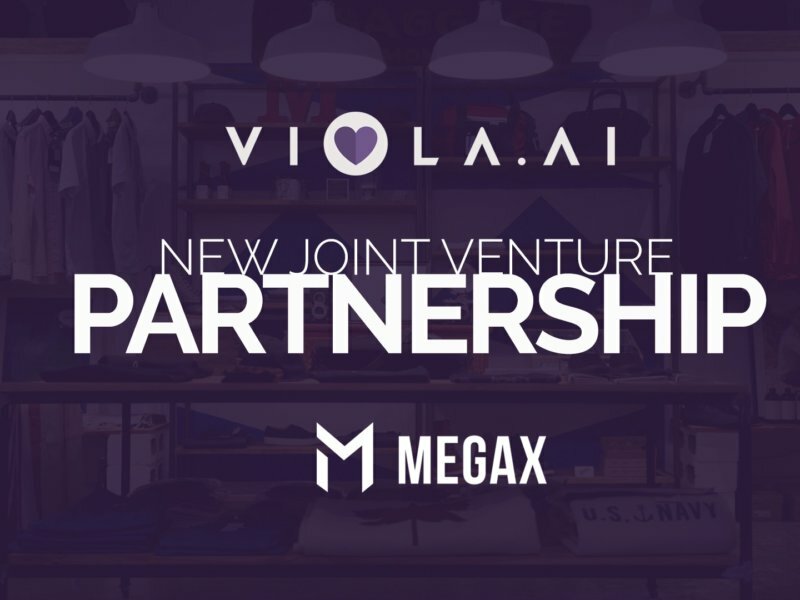 This strategic partnership will allow Viola.AI to be the AI technology to be integrated into MegaX Retail platform and network through Viola.AI’s open source, where the AI with personalized machine learning engine and natural language empathy feature from Viola.AI will be able to provide timely recommendations to address each user’s needs for goods and services from over 40,000 brands in 27 countries. MegaX also hosts a first-of-its-kind global millennial online mall, created by fashion and lifestyle conglomerate iFashion Group that combines its native cryptocurrency MGX, with the emerging retail network. It was formed due to the need for a growing pool of independent, exciting and eclectic brands to reach their targeted market. MegaX also hosts large-scale music and retail events, such as Artbox Singapore, which had a turnout of 600,000 consumers over 2 weekends in 2017. Holders of VIOLA tokens will be able to use their tokens to make transactions in the future AI-driven retail network in MegaX and both sides are exploring mutual airdrops for their respective community and customer base. “We are very excited at this partnership with Jeremy and his team at MegaX! Since the beginning, we aim for Viola.AI to be open source together with ready APIs that easily adapted and deployed across industries and platforms. Through this partnership with MegaX, we can maximize and develop on our goal of helping different industries in the world with greater personalization, where our AI can prompt relevant goods and services based on their needs, timing and wherever they are. It also extends Viola.AI template into new revenue streams and market opportunity,” said Violet Lim, CEO & Co-Founder of Viola.AI. Viola.AI will be starting their Public Sale on 14 March 2018 at 12pm (UTC+8). It’s an exciting time for the company, after it concluded its strong pre-sale, selling all allocated 7.5 million tokens 5 days early. It also just recently announced partnerships with 7 lifestyle merchants around Asia and the team is currently working on its MVP, set to launch in May 2018. Viola.AI is an ever-improving, decentralized and secure A.I. Driven Marketplace that gives data-driven advice, recommendations, concierge and matches to helps singles to be effective and efficient in finding love while also helping couples to sustain and better their relationships with their significant other. Harnessing on AI, blockchain technology and trustless smart contracts, Viola.AI sets to revolutionize the love industry. iFashion is a leading venture conglomerate company focused on investing and acquiring fashion and lifestyle e-commerce ventures based in Southeast Asia. To create synergy among businesses, the Group aggregates highly complementary businesses via mergers and acquisitions in its sectors of interest. The Group acquired, most notably, local O2O brands Dressabelle and Megafash, in the lead up to an IPO.